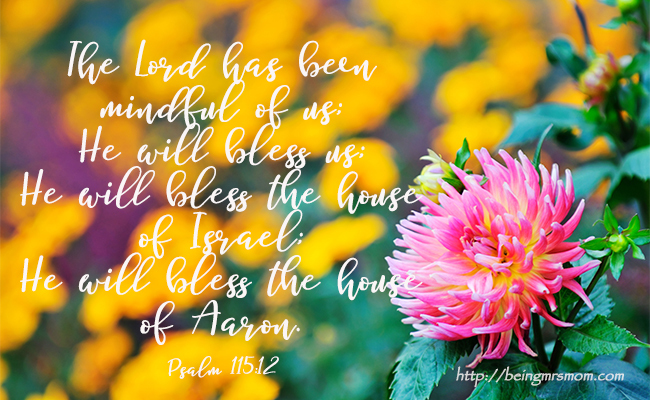 Today, I want to invite you to take a look at Psalm 115 with me. Within it, we will find something that cannot be overlooked, the difference between who God is and who the idols are. Believe it or not, people still worship idols today. To some degree, we also have to be careful of the image that we have of God. For if it is not the correct image, we too are creating an idol. We must know who we worship and serve. We must remember what He is like. We must remind ourselves of His characteristics and when we are unsure, we must go back to the word of God. When we have the right image of God, we will also recognize that we can trust Him. We will give Him the glory that is due to Him and we will see Him at work in our lives; not because He has finally began to work, but because our eyes are open to the works of His hands. Not unto us, O Lord, not unto us, but to Your name give glory, because of Your mercy, because or Your truth. But our God is in heaven; He does whatever He pleases. Their idols are silver and gold, the work men’s hands. They have hands, but they do not handle; Feet they have, but they do not walk; Nor do they mutter through their throat. May the Lord give you increase more and more, you and your children. May you be blesses by the Lord, Who made heaven and earth. The heaven, even the heavens are the Lord’s; but the earth He has given to the children of men. But we will bless the Lord from this time forth and forevermore. Having the correct image of God and knowing His character, helps us to trust in Him. If you think about it, this is how we build trust with everyone. Their past actions and understanding their character allow us to feel safe when we are around them. If we know that someone can be relied upon, we know that they will do what they say that they are going to do. When we know that a friend will not share a secret, we feel that we are able to reveal more to them. It is the same way with God. When we see Him provide for us and protect us on a daily basis, we will trust Him as a provider and a protector. However, I also want to mention this. When we don’t take the time to look at what God has done, it becomes easier to forget. When we have experienced hardship in our lives or heard of those that have, it becomes harder to trust God; Not because He is less trustworthy, but because we do not see Him in relation to our circumstance correctly. This is why it is important for us to take the time, everyday, to look into the word of God. When we do, we receive a correct image of God, ourselves, and the world around us. He is not an idol, made by man. He hears our prayers and speaks to our hearts. He reaches out to us and works on our behalf. He dances over us with singing. (Zephaniah 3:17) He is so much more than idol. He is active. Every morning when we wake up, it is the Lord that has given us another opportunity to live. It is the Lord that has breathed breath into our lungs. It is the Lord. Looking at the world and our lives with this sense of His continual working for and doing, to bless us, changes how we view everything. It also changes how we see Him. It allows us to see that He has always been faithful and will continue to be faithful. Having this view, changes us. We come to see ourselves as loved and cared for. Today I would like to challenge you to take the time to look at your life. What has God done for you? I want you to think about the simple things and the complex. What do you have that you take for granted? Who has God blessed you with? Count your blessings today and look to the One that has made it all possible. Realize that He is working to protect us, even as we sleep. He is always mindful of us. (Psalm 115:12) Let’s attribute this to His character. He is trustworthy. Thanks for taking the time to read through Psalm 115 with me today. I hope that you were blessed. I pray that you are strengthened by the word and that God continues to make Himself know to you.